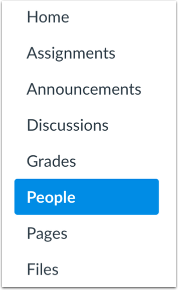 Click the Options menu , then click the Randomly Assign Students link . 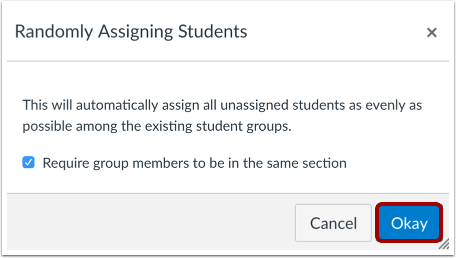 If you want to require group members to be in the same section, select the Require group members to be in the same section checkbox. Previous Topic:How do I create self sign-up groups in a group set? Next Topic:How do I manually assign students to groups? 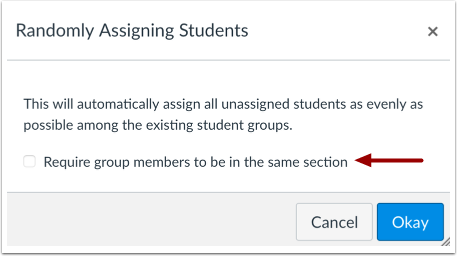 Table of Contents > Groups > How do I automatically assign students to groups?